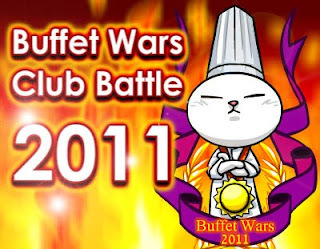 Congratulations to the Champion Club of Buffet Wars Club Battle 2011, Zillion Madrid Kingdom Club! Brushing off a strong challenge from eventual 2nd Runner-up mingwarrior club, Zillion Madrid Kingdom battled it out with Elites in an exciting final! mingwarrior club clinched the last top 3 spot after displaying a match of razor sharp accuracy against a strong rival in Team Eagle Racing Club. Great thanks to all clubs for being patient during the initial hiccups in the tournament and also to your active participation! Supporters that night are great as well! See you guys in the next Tournament!